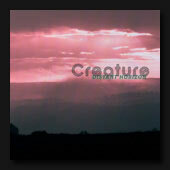 Creature is the music of Steve Haunts based in Derby in the UK. Steve trained in music at a young age and took exams with the Trinity College of Music in London. 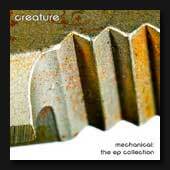 Creature is an electronic act creating dark, atmospheric ambient / down tempo industrial music with driving beats influenced by bands such as Nine Inch Nails, Boards of Canada, Hybrid, Obital, Bola and Eintuerzende Neubauten. Creature uses many experimental techniques for creating sounds including Circuit Bending. This is when old childrens toys are rewired, recorded and reprocessed to create sounds that defy belief. These sounds mixed with dark cinematic strings and dirty beats create an album full of surprises. As well as releasing albums, Creature also produces professional sound design libraries for other musicians under the Electronic Critters brand.. 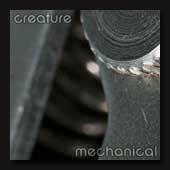 Creatures debut album was Mechanical released in 2006. The album was well received by reviewers from around the world. Following the release of Mechanical, Creature started work on his 2nd album, Distant Horizon, which focused more on the circuit bent sound design. Distant Horizon was released in 2007. During this time Creature released the Mechanical EP Colliection. This collection contains the 2eps that were originally release before Mechanical and are now out of print. As well as the 2eps, there are a series of remixes of some tracks from the original album. 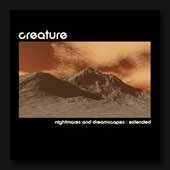 After releasing the Mechanical EP's, Creature also released an album of Dark Ambient tracks called Nightmares and Dreamscapes. These tracks are more atmosperic and less melodic than the rest of Creatures albums. Tracks from Nightmares and Dreamscapes have been licensed by Metrodome distribution for the trailer for the Korean film, The Chaser and also by the BBC. 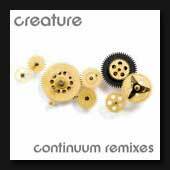 In 2009 Creature released his 3rd album, Continuum and a remix album for Continuum. 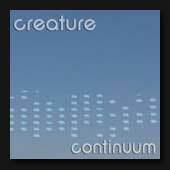 Continuum is a more upbeat album than Distant Horizon and blends many electronic music genres from House to Dub Step.